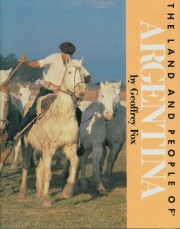 The Land and People of Argentina: Portraits of the Nations. HarperCollins, 1990. For young readers, grades 7-12. Selected for list of Notable Books of 1990 by the Children’s Book Council.